We are a working organic permaculture farm in the hills above Parrita Costa Rica. Our goal is to produce the highest vibration healing herbs which we put into our teas, capsules and tinctures. 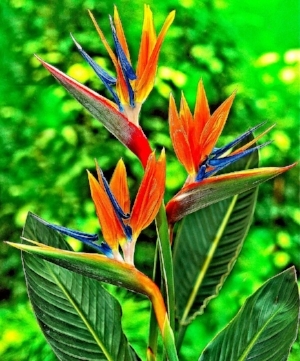 We are currently growing turmeric, ginger, coconuts, passionflower, cacao, acerola cherries, hibiscus flowers, guanabana, mango, cinnamon, guayaba, tulsi, starfruit and so much more....the rainforest is full of so much medicine! Loving life in the rainforest! I'm Lisa and little did I realize when I moved here, that a great deal of the plant medicine wisdom is simply part of the culture and the daily life in the village that I chose to call home. I found a loving, trusting community open and willing to share the wisdom of their mothers, fathers and grandmothers and grandfathers with anyone who was interested…to them, it was a joy to share. Originally, I came to Costa Rica to start yet another healer’s retreat center and I quickly learned that the land, her spirit, my heart and my spirit were called to this amazing rainforest to first learn and share the wisdom of the plants with as many people as possible. As a long time Energy Medicine Practitioner and Instructor and a self taught student of food as medicine, I knew the best way to do this was to offer these wonderful remedies in the form of food and beverage…..leading to the creation of our organic medicinal teas and other products. Why Guanabana? I was first given a glass of Guanabana pulp in a smoothie and fell in love with the rich delicious flavor….little did I know at that moment, that this amazing fruit and it's plant leaves and bark would become the medicine I would send out to the world. When I then became caretaker of the finca, 10 acres of organically grown food and flowers, I discovered two of these amazing Guanabana trees growing on the land. I immediately began research and came across a website www.graviolaremedies.com whose mission is “To provide information available on the internet about uses of Graviola in one central place along with articles, tips and or clips to live a healthy lifestyle and diet.” Graviola's scientific name is Annona muricata, and is also commonly referred to as soursop. 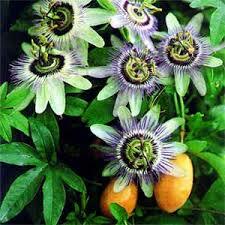 Some of its other common names are as cherimoya, guanabana, custard apple, and Brazilian paw paw. In many countries, people use the bark, leaves, root, and fruits of this tree for traditional remedies. The active ingredients are a type of plant compound known as phytochemicals called annonaceous acetogenins. Below is a video from their site. Please enjoy! Why Quartz Crystals in our Teas? But first there is CACAO...and what a story that is! Again, little did I know that there were about 18 ancient cacao trees growing on the farm when I arrived as caregiver. I was soon to discover that this region has a rich and full cacao history as it is home to La Iguana Chocolate and a finca that has been growing cacao here for nearly 30 years!!! 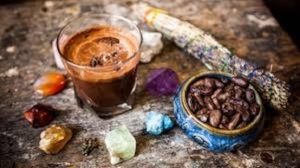 I attended my first Cacao Ceremony with Alejandro Quieros in mid 2016 setting the intention to learn all that I could from the Spirit of Cacao and her medicine. Wow, literally, wow. Since then, we have planted over 1000 cacao trees here at the finca, and we began making our own chocolate bars infused with our delicious high vibration herbs...same recipes as our tea blends. Our bars are in high demand so we only sell them at the local feria..aka farmers market. 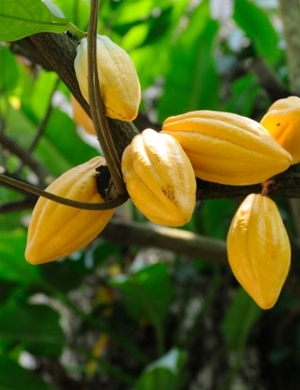 Cacao is now equal to our herbal tea business and may soon surpass as our number one product. You are able to purchase cacao beans, nibs, powder and ceremonial cacao on our website.